Electrolux is a headline sponsor to the first European edition of the global food tech conference Smart Kitchen Summit. The event takes place on June 11-12 in Dublin and brings together leaders, innovators and startups to explore the latest technology within the food ecosystem and how it can evolve the consumer cooking journey. In particular, the summit explores the impact that technology has on the entire food ecosystem: from where and how food is grown to the global problem of food waste, to making cooking good food at home easier and more accessible as well as using data for personalized cooking journeys. 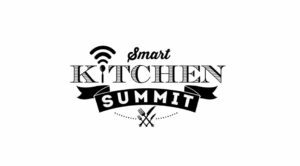 “We are pleased – said David Cronström, Head of Strategy and Ecosystems at Electrolux – to partner with the Smart Kitchen Summit in exploring new ways of simplifying and personalizing the consumer cooking journey through assisted cooking, new services, partnerships and the latest technology within the smart home. By bringing together key players within food, home appliances and tech we can move toward the goal to create an ecosystem where the consumer experience is enhanced by connectivity and digitalization”.